2003 Lance 921 See text. 2003 LANCE 921, This self contained unit fits 8 foot bed trucks!. Camper length in bed is 9'6". hence the 114" in the length subject. Fully insulated throughout the camper with enclosed holding tanks. Queen size cab-over bedroom, mattress included if you want it. Rear Roof Ladder, Docking lights w/ rear door entry light switch. Thule Roof Rack, Upgraded framed cabinet doors,. Cab-over Folding Privacy Door, Cab-over side and front windows, Cab-over storage cabinets and drawers. Insulated Queen size bed pad. Full length door-mirror; 1 ½ Double kitchen sink, (2)20lb LP bottles with gauge, BRAND NEW, just installed (if I have time) 6 gallon Gas/DSI hot water heater, insulated hatch covers, dual batteries, 20,000 BTU auto ignition furnace, Roof AC with new wall thermostat panel, full heat strip and Heater outlet in bath, Wireless remote operated Atwood Power jacks, Battery separator, pre-wired for generator, includes generator storage lid. Range hood, Walk-on roof, 5 cu refrigerator LPG/12 volt with all new electronics and switch panel, Security lights, AM/FM/CD stereo/dvd and 15" Flat Screen TV with swivel wall mount. 3 burner range with oven, Microwave, Kitchen pantry with slide out cabinets, Foldable dining table will slide down into a bed space. Drawers under the benches in the slide out. Dual pane tinted windows, Day/Nite Shades in windows, battery disconnect, pass-through front window, full size wet bath/toilet, Roof solar panel monitor panel, convertor with charger, Electric fan w/ Thermostat in dining /kitchen area, Fan in bath room. 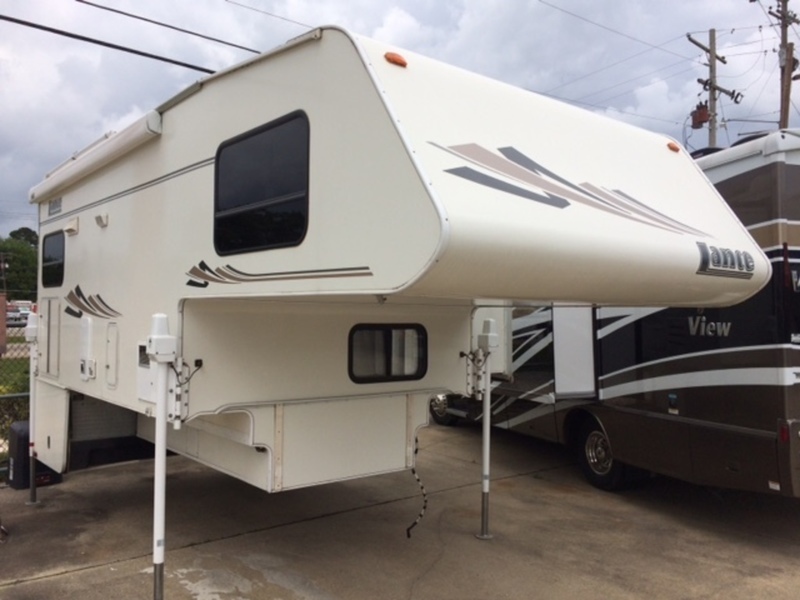 rear bumper w/fold-over step and sewer hose stow-away, full shower/bathroom with Thermostat, safety view rear window, rear door pull-down shade; Rear door awning, Awning on Slide out 10', Battery Charger, External Shower, Double LPG Detector, , Smoke Detector. Skylights in the bedroom with escape hatch, the bathroom and kitchen area; Winterize package. No animals have been inside. Tow bar extension. There is some minor water damage from the latest winter. Black water holding tank control light is on, on Yellow but the tank is empty. Some minor parts are not working like the exhaust fan if I remember well. This is reflected in the asking price. The camper has not been used in the past year. Please don't hesitate to ask me any questions. The interior photos are taken on a trip If you want other pictures please send an email. 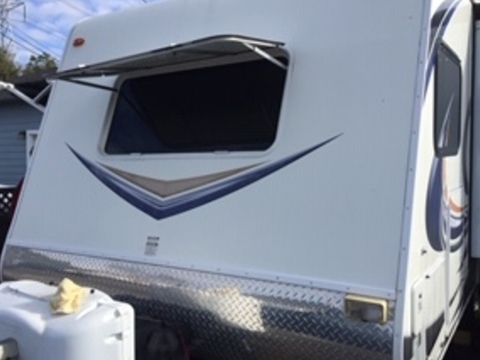 RV is in Great Shape according to the seller. There is a crack in the front window that does not impact anything since there is a cover over the window - and the seller has ordered and received the replacement unit - just hasn't had it installed. One interior speaker has a static buzz and has been disconnected. Speaker came that way from factory and remaining indoor speaker was sufficient to the owner. But otherwise, everything works as it should. Stock #171536 Great lightweight Trailer! Pet & Smoke Free. Less than 4K miles. 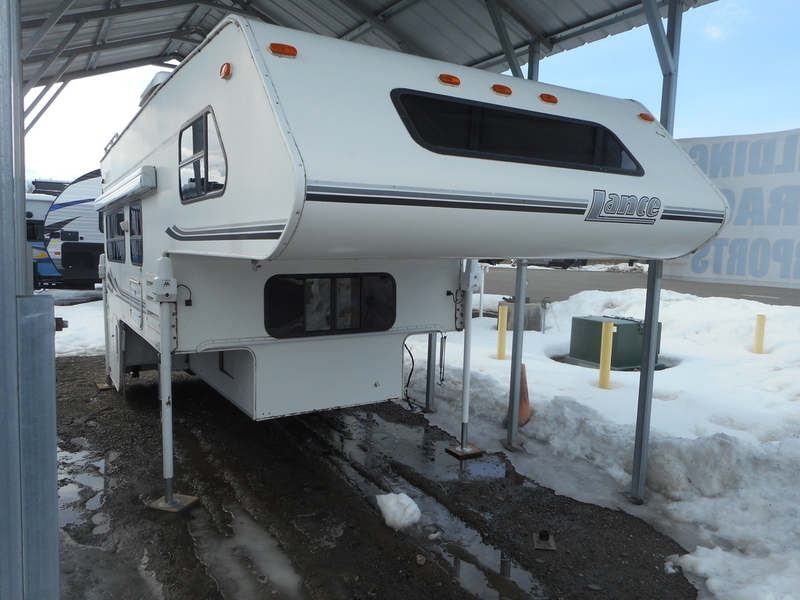 If you are in the market for a travel trailer, look no further than this 2012 Lance 2385, just reduced to $21,500. 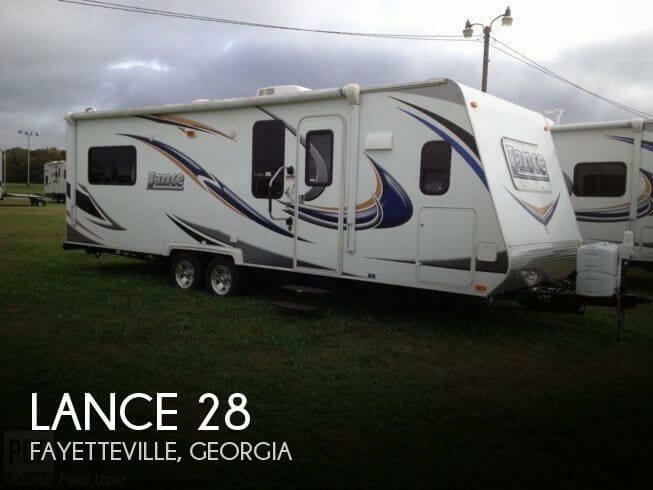 This Travel Trailer is located in Fayetteville, Georgia and is in good condition. Reason for selling is getting married & moving - need to sell!. Coach is loaded with optional items as the standard; Rear monitor camera. Includes Torklift SuperHitch receiver hitch and hitch box extension. It replaces standard truck factory receivers to allow for greater towing capacities. 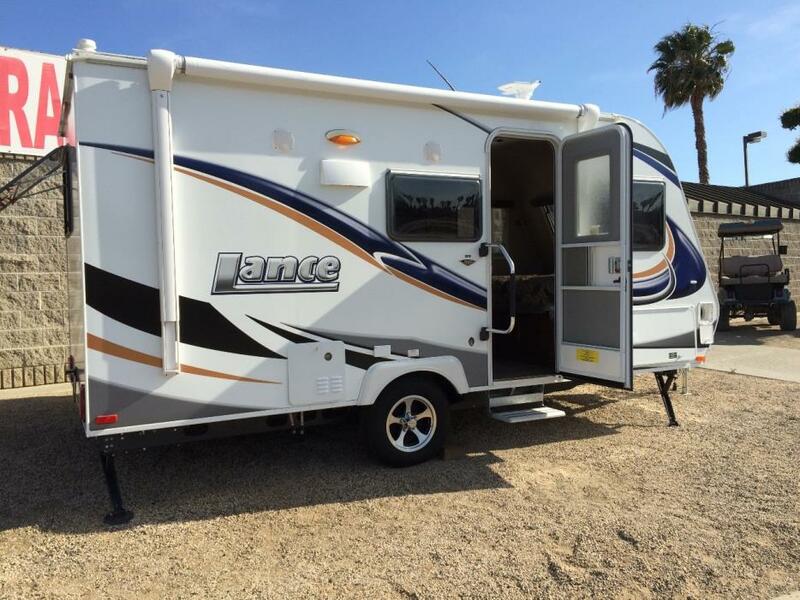 Stock #163642 Excellent condition, Fully self contained, Lance's Largest built Truck Camper Model If you are in the market for a truck camper, look no further than this 2016 Lance 1172, priced right at $45,000. 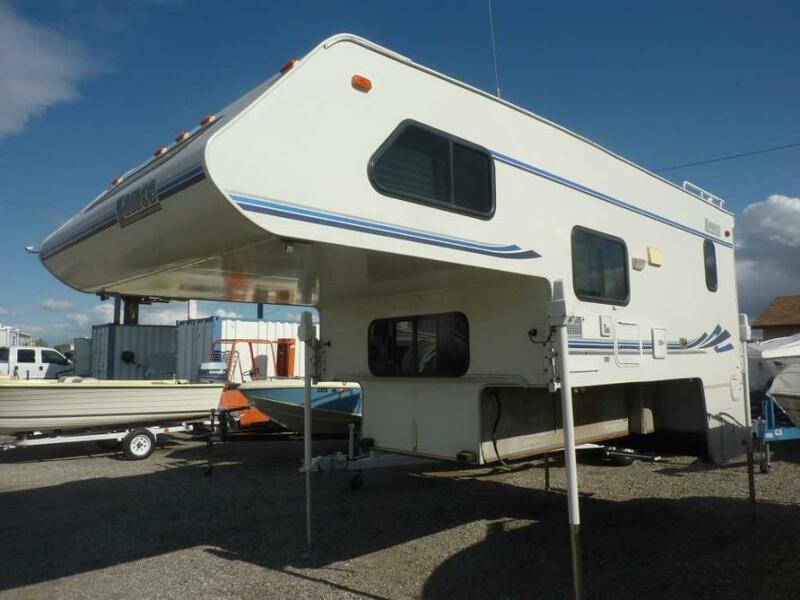 This Truck Camper is located in Riverside, California and is in great condition. Reason for selling is no longer used. 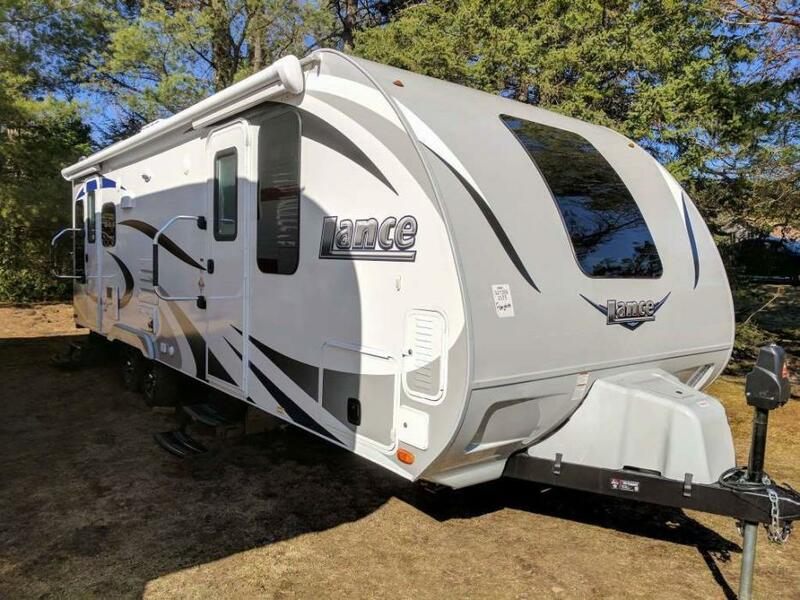 2018 Lance 2375 2018 Lance 2375 Kick back in Lance's latest "retreat on wheels!" This new rear-lounge model features the type of extremely comfortable rocker chairs you have been looking for in an RV. Or if you're more of a couch connoisseur, order your 2375 with the available convertible J sofa, which has the added benefit of an additional sleeping option! Bring the view to you by surrounding yourself with huge standard panoramic dual-pane windows while ducted heating and available 13.5K watt BTU air conditioning make sure you enjoy perfect weather both inside and out! After a long day of pursuing your passions; pamper yourself in the master suite complete with residential style deluxe queen size pillow top innerspring mattress, USB charging port, LED mood or reading lights and catch a falling star with Lance's exclusive "SkyView" window! Lance Luxury at its finest! 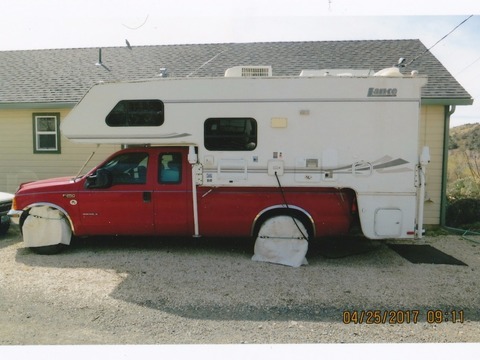 1999 Lance 1120 Long bed 8' dually. 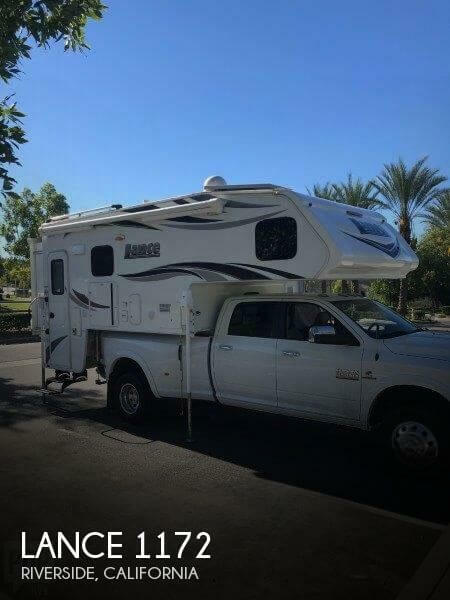 One owner, very clean camper, everything works. 2004 Lance 981 981 Lance Lance 981,2004, 9 foot truck camper has increased head room in the cabover sleeping area, with large insulated skylight-featuring integrated lighting, ventilation screen & black out shade, microwave oven,3 burner stove/oven, A/C, queen-size cabover bedroom, Fan-Tastic vent, Generator, Rollout storage drawer under dinette. 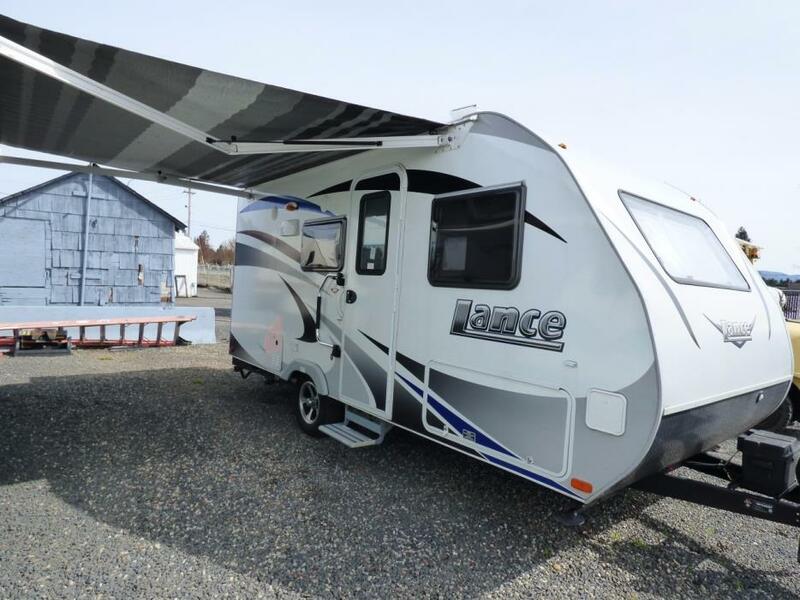 2002 Lance Lance 845, Get ready for great outdoor adventures, and keep it simple with the 2002 Lance 845 cab over camper. This Lance 845 is built on the short bed platform, has a complete bathroom, full size kitchenette, queen bed and comfortable dinette. 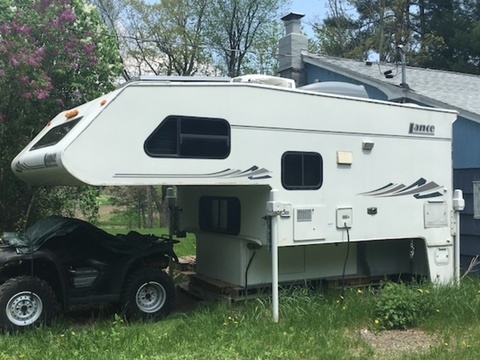 With furnace and air conditioning in the unit, this camper is ready to take on the elements. 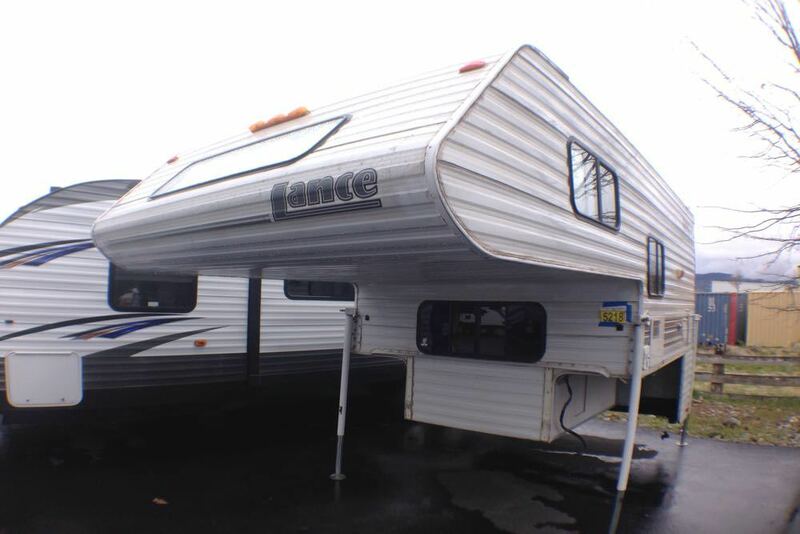 The 2002 Lance 845 Camper is ready to go for your next camping experience. 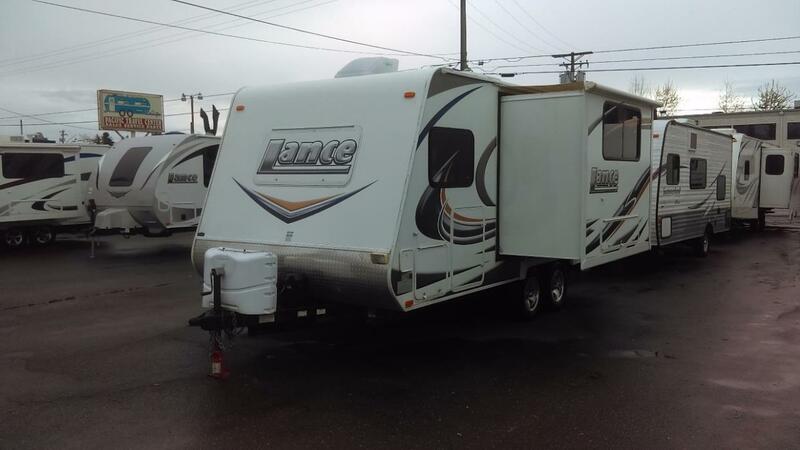 2005 LANCE 1180, 11' ONE OWNER TOP OF THE LINE LANCE TRUCK CAMPER, LONG BED NEEDED, SLIDE OUT, FRONT TWINS, AWNING, ELECTRIC JACKS WITH REMOTE CONTROL, SHED KEPT. This is a 2 year old trailer and it still looks brand new. We love it but we have out grown it already. 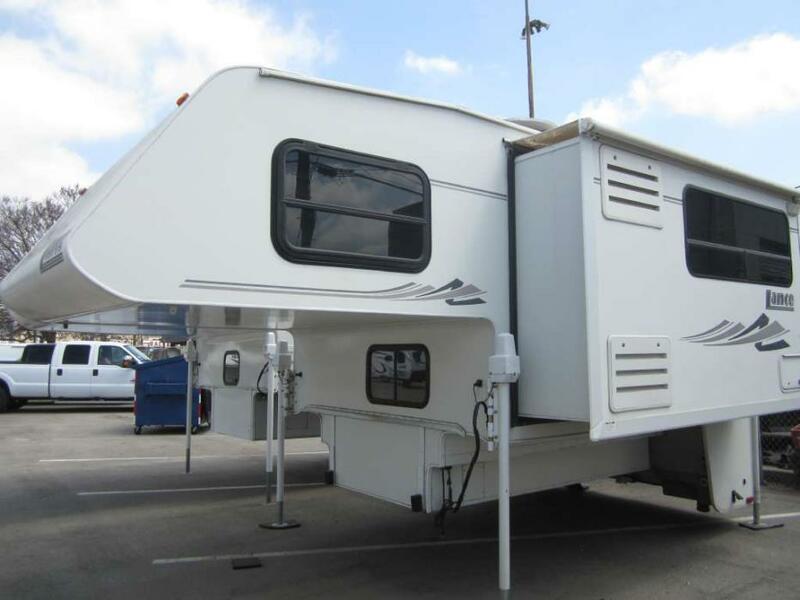 It has has lots of storage, 1 slide out, tv, dvd player, queen size bed, outside shower, and the table turns into a bed. has lots of other features. email for details.